Manna House featured twice in the local papers recently as they reported on our activities for homeless action week, which included a pop up soup kitchen on the high street, a coffee morning and a swimathon. Both news articles highlighted our main issues; “Manna House wants local employers to do more to help the problem- to take a chance on young homeless people by offering them employment- and more private landlords to accept housing benefit claimants”. 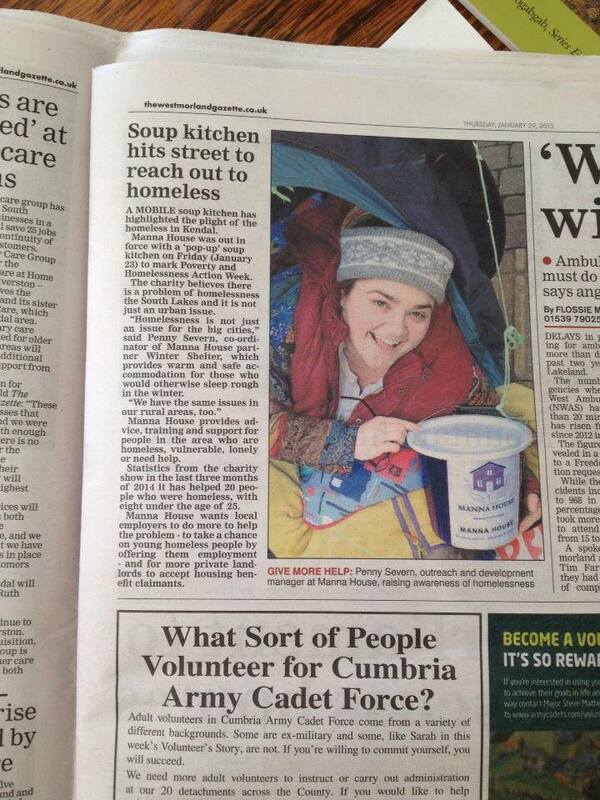 Please do read the full Westmorland Gazette article online – we love the picture of our Outreach Worker, Penny Severn.